This kit fits to E-P1, E-P2. Please Click Here to see our New Color / Material List. 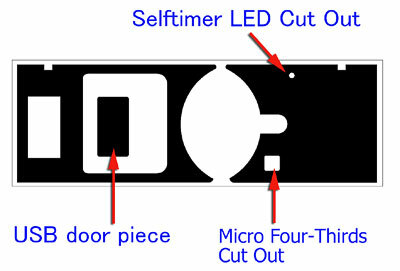 This kit contains Front 2 pieces leatherettes and USB door leatherette, as following image. We do not recommend to install for White Version EP1, please use this kit for SILVER or Black version E-P1. As for the USB door piece, Regrettably, you can not open USB door with this piece. 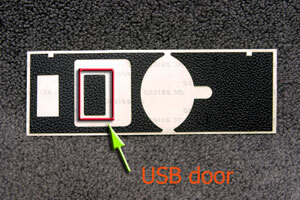 If you do not connect USB, please app.ly USB door covering piece. The price is $17 USD, + $4 US Registered Airmail shipping fee.